Welcome to “Behind the Byline,” the column in which we share conversations with our current NER writers in all genres. NER fiction editor Janice Obuchowski speaks with Steve De Jarnatt, author of “Wraiths in Swelter,” which appears in NER 36.2. JO: Steve, it’s quite fun to read a contemporary take on the gothic short story. Did you have any writers in mind as you were writing “Wraiths in Swelter”? The ghost element bushwhacked me late. It was probably the last aspect of the story that materialized. I wasn’t consciously channeling any fiction author (except perhaps Stuart Dybek a bit for his extensive paean to the City of the Big Shoulders). I think it was more an attempt to emulate all the great creative nonfiction going on these days. None of the subject matter is from my life, but I was trying to convey a fictional character’s confessional memoir. Some cohorts from my Antioch Los Angeles MFA program—Antonia Crane, Patrick O’Neill, Jillian Lauren, and others—have published brave personal sagas of their lost years and redemptions. They lived through it—I just make things up. JO: I was quite taken with the sophistication of the imagery—not just of death and destruction but of a kind of limbo between life and death. At the outset the young girl walks on the heads of the dying to escape a theater gone up in flames. Later a junkie is revived after falling into a near-death state. Buddy, of course, is between states too, having fallen out of the life he was leading and now casting about aimlessly. Does the notion of purgatory hold particular resonance for you? There were a few main touchstones that sparked the story and perhaps the limbo of the characters. Foremost was remembering the mass burials of hundreds of very old people who had perished during the Chicago heat wave of 1995. I didn’t research much until a draft was written but tried to vet things later from various sources. A great book by Eric Klinenberg—Heatwave: A Social Autopsy of Disaster in Chicago—is a must read on the subject of civic failure. Writing this tale was also probably an attempt to find empathy for a few friends I thought I knew well, with great lives set out before them, who opted to disappear down rabbit holes instead, leaving me in limbo trying to understand. The lingering image/anecdote of a child walking on heads to save herself in a theater fire remains a phantom. I used to pour through yellowing newspapers in library stacks decades ago, looking for film ideas, and thought I remembered this happening somewhere, though not the Iroquois Theater fire. All I had was a bad sketch and a few notes in an old folder but was unable to find mention of it anywhere on the net. Perhaps it was a dream or that ghost trying to get some ink. Purgatory to me has always been just the images of Dore engravings in Dante’s Inferno I would leaf through as a kid. I was raised Unitarian (though I still have no idea what we are supposed to believe), and religions fascinate me. It’s been pointed out that I often have some spiritual element in my short stories, and characters seeking grace through ordeal are a recurring theme. Music and faith seem to me among the most magical of human creations, though I find most beliefs too insular and just too minuscule in their scope. If they weren’t prescient about the 10,000 galaxies the Hubble just found in a supposedly starless hole in the sky, then what could they possibly really know about the big picture? JO: You’re a film and television director, along with being a writer. 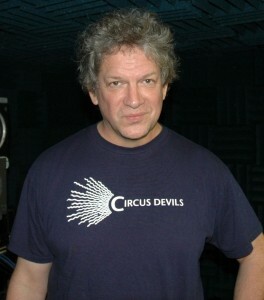 Notably you directed Miracle Mile (1989), an apocalyptic film. Does your experience with directing influence your writing? Or perhaps vice versa? I think there is some comparison in the crafts in that you start with your inspiration or vision, you write a lot of words (or shoot a lot of footage), but the story or film is often found in the revision process or the editing room. I did get to witness genius in its prime while working as a projectionist and trim filer for Terry Malick in the Days of Heaven editing room. Observing him willing his vision into being was a huge inspiration for my filmmaking, and also for fiction, and anything else in life for that matter. For this story I wrote blind a lot more than I usually do, though coming from film I can’t help but to feel plot a few curves ahead even if I try not to—imbedded in the muscle memory by now, I guess. But this one was written in a very inefficient, mosaic fashion—out of sequence, then stitched together and distilled from more than twice the word count. Cannot seem to keep a short story under 9K words these days. I almost always write in third person, and before I settled on first person for this one there was that sad attempt at the near impossible second person. After the umpteenth “You….” readers begin to scream unless the author is a true word master. JO: Do you have any connections to Chicago, the setting of “Wraiths in Swelter”? You seem to have a good grasp of the city. My father was born in a log cabin in southern Illinois and our family use to visit Chicago on cross-country trips out from the state of Washington where I grew up. I am told I saw a no-hitter at Wrigley—though to a young child that’s of course a total bore fest, I still have the program. I did direct some television there, a few scenes for ER and also the ’90s syndicated show The Untouchables, but mainly I just did enough research to feign verisimilitude. JO: Your stories in general have violence at their centers and are richly textured—the prose being ornate, rococo, thickly detailed. Do you see a connection between your prose style and the topics you choose to write about? I do seem to inflict a lot of misery on my characters, and I guess I view storytelling as a crucible or arena that often has severe consequences involved. Maybe that’s a fear of boring an audience, I’m not sure. I am still very wet behind the ears when it comes to literary fiction and I am aware of my excess. Stephen Donadio had said of my other NER story, “Her Great Blue,” that it was a display of “unfettered imagination,” and I just might want that for the title of my story collection. I love how you termed it—ornate/rococo—and I have to cop to that. Some of that might be due to mild dyslexia. My syntax arrives strange at first and I probably work too hard avoiding normal sentences. It can be exhausting for me (and perhaps readers), but that’s what’s fun about writing fiction—going a bit over the top. To make a cinematic analogy, at this point my prose is using a crane shot or circular dolly track much of the time, abusing the Vertigo shot (zooming in/tracking back) instead of employing the elegant, Bresson-style naturalistic coverage that more subtle and seasoned writers might use. I am trying to keep things a little more fettered with a leaner, cleaner page-turning style in the two novels I’m working on at present. I think if/when I do go back and write a script, I will have made a quantum craft leap for having abandoned it for this apprenticeship in the art of fiction. Particularly when it comes to voluntary revision. I don’t think you ever really finish a story, and I could scribble eternally, whereas most screenwriters get self-satisfied with their gems too early in the game. Part of that is a protective instinct, since producer and studio notes often tear the heart out of everything you were trying to do. I am still astonished at how reasonable and universally helpful notes in the literary world are. Steve De Jarnatt splits his time between Port Townsend, Washington, and Venice, California. His writing has appeared in Santa Monica Review, Meridian, Joyland, Cincinnati Review, Missouri Review, New Stories from the Midwest 2013, and Best American Short Stories 2009, among others. He was a fiction scholar at the Sewanee and Bread Loaf Writers’ Conferences in 2012 and 2013, respectively. He is also the director of two cult feature films, Miracle Mile and Cherry 2000, just released on Blu-ray. His story “Her Great Blue” appeared in NER 34.1. Welcome to “Behind the Byline,” the column in which we share conversations with (and learn so much more about) our current NER writers in all genres. 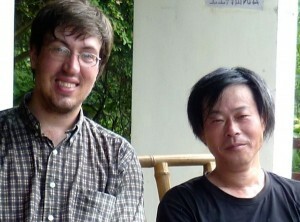 Translator Nick Admussen (left) with poet Ya Shi. The conversation below, between NER poetry editor Rick Barot and translator Nick Admussen, has given us all a bigger, deeper context for the Ya Shi poems, “Full Moon Night” and “Entering the Hills,” we’ve published in NER 36.2, the author himself, and the many dimensions and considerations in the role of translator. RB: What can you tell us about Ya Shi and the two poems printed in our current issue? NA: Ya Shi is from Sichuan, born in the 1960s, from the first generation that was allowed to go to college after the Cultural Revolution. First I should say he is brilliant and humble: he has a math degree from China’s most elite university, but he lives outside Chengdu, far from the center of the growth economy and the Chinese poetry scene. He teaches math there, writes, and spends a lot of time with his family. He’s also incredibly kind and thoughtful and has been a great friend to me—being able to spend time with him is one of the most pleasurable parts of being a translator. And yet I can sense sometimes how his intellect and the depth of his feeling isolate him. He is so complex that I don’t yet really understand how he operates, and he knows that. I think that the joy in the Qing Mountain poems that you’ve published comes in part from the speaker of the poems encountering a context that is rich enough and soulful enough to merit his complete attention, and the rarity of that. However, describing him like this makes him sound like some kind of wizard, and he’d laugh at me for saying it. He chain-smokes. He likes to eat Sichuan hotpot. Once he described himself in a poem as a kind of Frankenstein’s monster made up of different animal parts—deer eyes, dog’s nose, etc.—giving a math lecture in short pants. The Qing Mountain poems are a series of thirty modified sonnets that were inspired by a long trip Ya Shi took into the forested hills of Sichuan. They’re a good representation of his work as a whole: they seem to argue that in order to think in a large and difficult way about life and death, creation and destruction, we can start by struggling to foster our own separateness from the rest of the world. Our connection to what’s outside us can then occur to us as a discovery, rather than a requirement or an empty postulate. This matches Ya Shi’s attitude about his career—he stays partially separate from the national poetry scene, and his publications are often brought out by patrons, printed in unofficial magazines, or circulated online. This separation has given him a powerfully independent voice, and is one of the things that makes his poetry unique and special. I’m now revising a book of his poems translated into English that will be called Floral Mutter, and which will include work from all the venues in which he publishes, work that in some cases would be hard to publish formally inside China. RB: Can you describe the translation process entailed by these poems, and your translation process in general? In general I think my translation process requires me to come to a really clear and concrete conclusion about what I’m giving up by putting a poem into English. With Ya Shi, the number one thing that gets lost is his genius for the intercultural. The best example is that when he reads aloud, he chooses to read in rich, musical Sichuan dialect, which is separate from (and superior to, I think) the “standard” dialect that you hear on TV in the PRC. So poems like these have three layers: an inventive adaptation and translation into Chinese of the Italian sonnet form, written in modern Mandarin Chinese, and pronounced in a centuries-old local language. I’m never going to get that same layering effect, that fusion, in an English version, but I need to know it’s there, so that my sensation of its absence can influence the decisions I do get to make. RB: I’m sure it must be hard to characterize summarily, but how would you describe the contemporary scene in Chinese poetry? Is it anything like the great aesthetic range found in American poetry these days? The answer to the first question suppresses the answer to the second, actually—I think the scenes in China today are shaped meaningfully by the system of central control. Intensity of censorship increases with audience size—I can say anything I want to one person, but can say practically nothing in a nationally distributed daily newspaper—and so poetic scenes often stay small, with a dozen or two dozen poets holding small-scale events and exchanging publications hand-to-hand. Some of those writers then move up to more official, national-level magazines, or move to Beijing, and their diversity there is partially a function of the place they came from. What this means in terms of aesthetic range is that I don’t know what the real aesthetic range of Chinese poetry is—I only know about what’s successfully made the jump to official publication, and because I’ve traveled around just a little bit, I know that the official discussion is partial. Even at the national level, though, there’s substantial diversity. There are powerfully intellectual poets who write semantically intricate work (like Xi Chuan); vernacular poets who write in a simple, populist, direct idiom (like Han Dong); feminist poets who work in a kind of Freudian dreamworld (like Zhai Yongming); and most recently, a group of worker-poets who write dark romantic poems about the lives of migrant laborers (like Xu Lizhi). These are cartoon descriptions, but hopefully you get the idea. So I would say poetry in China today is at least as broad as American poetry. Chinese poetry also has the great advantage of being at the heart of a very old cultural tradition: what it means to be Chinese, or even to be alive in China, are questions often answered in and by poetry, and even after all this time, children are still made to memorize and recite classical poems at a very young age. Many people feel like a part of the poetic tradition: it’s therefore a bit less elitist than poetry in the United States tends to be, and that broadens its diversity as well. RB: Your work as a translator aside, who are the poets whose works you keep returning to? I am a real fan of Xi Chuan, who I mentioned above—he has a really good new book of translations by Lucas Klein—and Ouyang Jianghe, who’s been translated in excellent fashion by Austin Woerner. I’ve also been fascinated for many years by the prose poems of Lu Xun, who lived in the early twentieth century. I incline generally towards the love of prose poetry, in part because that’s the topic of my first scholarly book, but also because it’s increasingly how I write my own poems (my first chapbook, Movie Plots, was all prose poems, as is my current creative project). Where American poetry is concerned, I keep Russell Edson on my shelf where I can reach him, as well as Ben Marcus’ Age of Wire and String (which I know was sold as stories, but come on). Philip Larkin and Timothy Donnelly for the interaction between music and concept, Frank Bidart’s Watching the Spring Festival for its intercultural empathy, and lots of Paul Celan, who reminds me that even in its most satisfying moments, poetry is still a struggle to speak and a struggle to listen. Ya Shi is the author of four collections of poetry and one of prose, including the celebrated collection The Qingcheng Poems, and most recently a special issue of the alternative magazine Blade devoted to his work. He is a winner of the Liu Li’an prize, and has served as the editor of several influential unofficial poetry journals. His work has appeared in English in Poetry International, New Cathay: Contemporary Chinese Poetry, and is forthcoming in Asymptote and Drunken Boat. A graduate of Beijing University, he currently teaches mathematics at a university near the city of Chengdu. Nick Admussen is an assistant professor of Chinese literature and culture at Cornell University. He has translated the work of Ya Shi, Zang Di, Genzi, and Liu Xiaobo; his original poetry has appeared in Fence, Blackbird, and Sou’wester. He blogs on Chinese poetry in American life for the Boston Review; his first book, on contemporary Chinese prose poetry, will be published with the Hawaii University Press. You can find him on Twitter @nadmussen. Welcome to “Behind the Byline,” the column in which we share conversations with current NER writers in all genres. NER international correspondent Ellen Hinsey speaks with Luis S. Krausz and Ana Fletcher, author and translator, respectively, of “The Clocks.” “The Clocks,” excerpted from Krausz’s novel Memories in Ruins and brought to our attention by Hinsey, appears in NER 36.1. LK: My paternal grandparents, to whom I was extremely close during my childhood, were from Vienna. Unlike most Austrian Jewish emigrants who fled Nazism in the 1930s, however, they left Vienna in the mid-twenties. They did this not as emigrants or refugees, but with the intention of spending a few years abroad, eventually returning to Austria after it had overcome the crises that followed World War I. This means that unlike others who wished to break with their past—for instance, by refusing to speak German—they remained very attached to their cultural background. They made a point of keeping the exotic, colorful, and lively Brazilian world outside their home, and the values, aesthetics, tastes, and atmosphere of Vienna inside. This led to a paradoxical kind of life. They did not wish to become Brazilian or tropical. Neither, however, did they identify with the Jewish community that existed in Brazil—Eastern European Jews who were speakers of Yiddish. The Brazilian way of life was as threatening to them as the world of Eastern European Jews who had settled in the Bom Retiro quarter of São Paulo. EH: How did this attempt to preserve their culture impact your childhood? LK: I grew up in a home that was very different from its environment—that was sealed off from time and space—and strove to preserve a culture that had become displaced after the Holocaust. We had to speak German with our grandparents. They read stories to us in German and read German books to themselves. They listened to German and Austrian music. Even their maids were German, from the south of Brazil, where a large German colony was established in the early twentieth century. My grandfather worked for big German firms and traveled often to Germany. Now this situation had become rather peculiar. Whereas in the nineteenth and early twentieth centuries, Austrian and German Jews saw no contradiction between being Jewish and being German, this identity literally lost its “place” after the genocide. So, Desterro: memórias em ruínas is a book about an impossible identity in an impossibly foreign country. It´s about the experience of being a foreigner anywhere in this world. LK: The culture one grows up in shapes us in uncanny ways: the way we feel, think, and act is determined by it. Therefore it is no accident that I discovered among Central European writers a kind of continuation of the world I grew up in. In fact, I discovered Joseph Roth, Bruno Schulz, and others rather late in my life, in my forties. Before that I read mostly Brazilian or American authors, or German authors such as Hermann Hesse and Thomas Mann. But in the literature of Central Europe I found a kind of lost home, a universe I felt I could understand and identify with, and from which I had been estranged for a long time. EH: You are now finishing your fourth novel. Would you speak, in a more general way, about your work and the themes your books explore? LK: My first three novels—Desterro: memórias em ruínas, Deserto, and Bazar Paraná (which is about to the published in Brazil) all deal with the lost world of Austrian and German Jews, with the exile of a culture that was built on the supposition that a German-Jewish symbiosis was possible and desirable, and with the paradoxes this culture faced after the Holocaust. In my current novel I am trying to take a step away from this realm and to investigate how this background influences my relationship to the contemporary world. For instance, I was recently in Berlin and I found it, at times, challenging. On the one hand, I am fluent in German and I feel very at home in it. On the other hand, I experienced constant shocks. German was the “private” language of my childhood: it was the language of a secluded, isolated, family world, redolent in rituals from the Hapsburg empire. I experienced the fact that in Germany everyone speaks German like a profanation. I often feel that people are not using German as they should, that they are not respecting it. To see this “private” language in everyone´s mouth causes me a peculiar form of discomfort. Naturally, today’s German is in many ways different from the German I learned. Furthermore, there are all the ominous shadows of history there, which can’t be avoided. EH: Could you also speak about your relationship to the Portuguese language and Brazilian literature? LK: Portuguese, especially Brazilian Portuguese, is a very supple, very sweet, musical language. Its sounds are delightful to listen to and its words evoke the vast world of Romance languages, but also the very diverse ethnic realities of Brazil. I once heard said that a writer´s best instrument is his ears and I agree with that. I have an enduring love affair with the Portuguese language, with its words and sounds. The more you know foreign languages, the better you get to know your own. It is a language full of new possibilities, with an extremely rich vocabulary, much of which is now obsolete. As for Brazilian literature, I would like to mention the works of João Guimarâes Rosa. I think he has explored the depth and the musical possibilities of our language like no one else. EH: Ana—Luis’s novel Memories in Ruins has an inherently poetic quality to it, and there is a keen attention to language in the text. What specific challenges did this pose for you as a translator? AF: Luis’s prose was a real pleasure to translate—his writing is erudite, polished, sinuous . . . Memories in Ruins is shot through with a nostalgia evoked not only by memories, but also by a language that, in its decorum and propriety, harkens back to times past. The first-person narration means the tone remains direct and conversational: a balance I was keen to observe in the translation. Long, winding sentences give the narrative its lulling rhythm—this is a comforting blanket of prose—while at the same time the teetering sentences of piled-on clauses mirror the proliferation of clocks threatening to topple over into chaos. My priority was maintaining the rhythm, which meant treating the various sub-clauses like pieces in a puzzle that had become jumbled and needed arranging before they would make sense. It also meant thinking hard about punctuation. To give just one example, in the Portuguese text Luis uses multiple colons in the same sentence—an unconventional practice in English. Do we keep these, or do we ‘standardize’ the text? We opted to keep them, not wanting to sacrifice rhythm for the sake of convention, and trusting readers to take this kind of deviation from the norm in stride. EH: Could you describe how it is you came to live in Brazil, and what led you to choose translation as a profession? AF: I grew up in an English- and Spanish-speaking household in Portugal, so have always been into the shifts and gaps and humour that exist when you’re constantly moving across languages. My interest in translation began during my MA in Comparative Literature at University College London, but the idea that I could be a literary translator myself didn’t take hold until I attended a week-long literary translation summer school with Margaret Jull Costa at Birkbeck University. For a while I fit in short translations around my job, but in early 2013 I moved from London to Rio de Janeiro to set up as a translator and editor full-time. I’ve since split my time between editing literary fiction—including a number of novels in translation for the really great independent publishing house And Other Stories—and translating for contemporary Brazilian writers. EH: Luis, your work has also included translations, for example, Elfriede Jelinek’s The Piano Teacher. How do you see the role of translation in your work as a whole? LK: Having grown up with two languages, or between two languages, translation has become second nature to me. My work as a whole is about translation and about the impossibility of translating, not only from one language into another, but from one cultural context into another. Some things have different meanings in different places and in different times and this allows for irony, estrangement, and surprise, elements I see as fundamental to my writing. I would like to add a remark about the German translation of Desterro: memórias em ruínas. Mr. Manfred von Conta, my translator, did a wonderful job and I think the book often sounds better in German than in Portuguese. When I told this to him, he answered that he thinks there is far more German in my Portuguese then I am aware of. Maybe he is right. Maybe the book was written in that same region in-between languages to which I return when I myself translate. Maybe writing is all about translating the unspeakable into words. 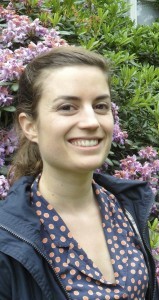 Ana Fletcher is an editor and translator based in Rio de Janeiro. She holds a BA in English/Writing and Performance from the University of York and an MA in Comparative Literature from University College London. Her translations from Portuguese and Spanish have been published in Granta, Music and Literature, and Wasafiri. 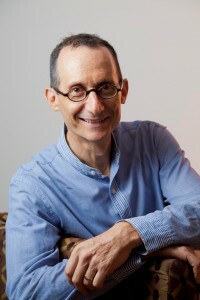 Luis S. Krausz, born into a family of Austrian and Bessarabian Jews in São Paulo in 1961, studied Bible at the Jewish Theological Seminary of America and Classics at Columbia University. He earned his Master’s degree in Classical Studies at the University of Pennsylvania and holds a PhD in Modern Jewish Literature from the Universidade de São Paulo, where he teaches Jewish Literature. Desterro: memórias em ruínas [Memories in Ruins], the Portuguese novel from which “The Clocks” was excerpted, has since appeared in German and Italian. Krausz translates German and Hebrew Literature into Portuguese and is the recipient of several literary prizes in Brazil, including the Jabuti Prize and the Benvirá Prize. Ellen Hinsey is the author of numerous works of poetry, dialogue, and literary translation. Her most recent book, Update on the Descent, draws on her experience at the International Criminal Tribunal for the Former Yugoslavia in the Hague. She is also the co-author of Magnetic North: Conversations with Tomas Venclova (Suhrkamp Verlag, 2016). Her essays on democracy in Central and Eastern Europe have appeared in New England Review. She is a former fellow of the American Academy in Berlin, and in 2015 she is the recipient of a DAAD Künstlerprogramm fellowship. NER editor Carolyn Kuebler speaks with Carolyn Page, author of the story “Marksberry Road” which appears in NER 36.1. CK: This story first struck me by its perfectly matter-of-fact tone and then later by a haunting sense of pain and loss. It’s as if the narrator recognizes that her losses are so ordinary that she hardly seems entitled to express her own pain. Where did this narrator and her story come from? CP: All I know is that when my mother died in 1997 it threw me back onto Marksberry Road where my father had died 45 years before. The story, which had had one or more unsuccessful incarnations over the years, came to life then and pretty much wrote itself. The child in the story may be the key to the attitude you mention. Children are innocent. They see things simply. You can trust them. A child isn’t questioned or second-guessed by the reader the way an adult might be, so a reader would be more willing to listen to the story unfold and trust in the accuracy and believability of it from a child’s point of view. CK: You mentioned in conversation that you enjoy listening to voices, in particular speaking voices, from books on tape and even just people on the phone. Could you tell us about this, and about how it might inform your writing? CP: A voice can tell us an awful lot if we just listen, especially if we hear it out of view of the speaker, disembodied, and also when what is being said is not for our ears and the speaker doesn’t know we are there, listening. Voices have value in other ways, too. Lying in the dark listening to an audio production of Hamlet did more for my migraines years ago than the dangerous barbiturates prescribed by my doctor. CK: The changes on Marksberry Road reflect the loss of a mundane but very particular (and beloved) way of life, and help remind us that so many “nowhere” places are as deeply loved as the world’s spectacular places. Does the place you live in now allow you to more clearly see the place you once lived? 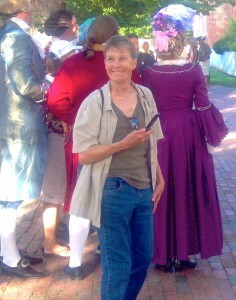 CP: Actually, if any place does that for me it’s Colonial Williamsburg, a day trip from where I live now. The quiet, simple way of life depicted there, with vegetable gardens in the back and side yards of clapboard houses, is very like where I grew up. Even the horses contribute; after all, I grew up in Kentucky. CK: I was particularly taken by the descriptions of the church picnic. Do picnics like this still exist? CP: I’ll say! Just go to Stanley, Kentucky, in August and you will find plenty of barbecued mutton and burgoo at the St. Peter of Alcantara church picnic. There are others down there, I’m sure. I just don’t know where. CK: What writers have you been most drawn to over your life as a reader, and who are you reading these days? CP: Shakespeare and Faulkner, then everyone else. These days, I mostly reread the greats and near greats for fiction and also for nonfiction, such as Hemingway’s relatively overlooked and wonderful Green Hills of Africa and books on writing and writers for other nonfiction, mostly the older, long out-of-print works; looking for them and finding them is like a treasure hunt. One such treasure is The Essential Shakespeare by John Dover Wilson, one of the giants of Shakespeare critique, long gone now but unparalleled. His humble little brown book got me excited about Shakespeare’s comedies when before I had not had much interest. I keep up with all contemporary fiction and nonfiction, and always give it a try, but I end up returning to the classics, after all. Carolyn Page was born in Kentucky and has lived in Arlington, Virginia, most of her adult life. She is a mother of four, grandmother of nine, and a great grandmother. She won the PEN/Nelson Algren Fiction Award in 1989 along with a month-long writing residency at The Barn, Montauk, New York. The prologue to the PEN Award–winning novel, a standalone story, “Bucky,” was published in the Potomac Review and nominated for the Pushcart Prize. She has taught creative writing in the Washington, DC, area for twenty-five years.